Located in the former Hiway Ford building just south of Interstate 90 in Blue Earth, Minnesota, we are pleased to serve our community with auto repair, maintenance and quality used car sales. Our qualified service technicians can diagnose and repair all makes and models of vehicles using quality NAPA Autocare products. Our goal is to get you back on the road safely and in a timely fashion. Take a few minutes out of your day to drive through our sales lot. We have a great selection of quality used vehicles that have been dealer inspected. If you have a specific vehicle in mind, let us do the shopping for you! 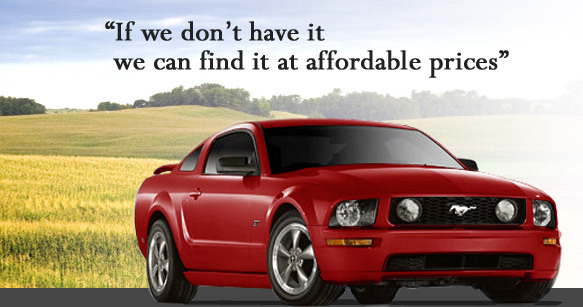 If we do not have the vehicle you are interested in, we can find it for you! Consignments also accepted. To make an appointment, simply call 507-526-5831. We look forward to meeting you!